I found this in Metropolitan Museum of Art's website. 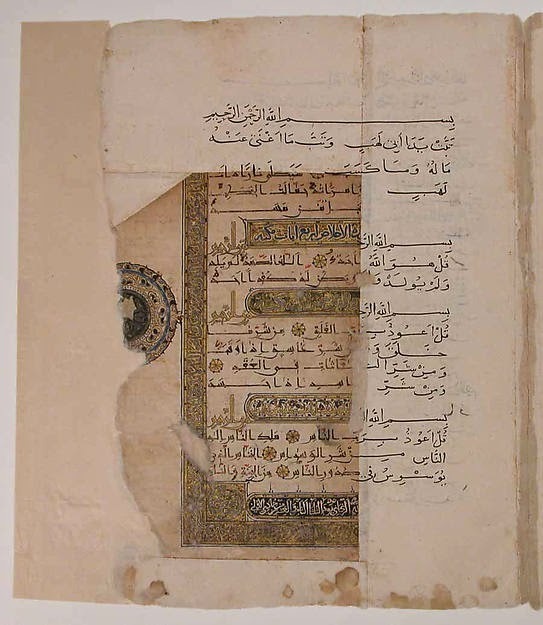 Apparently, eight folios of this Qur'an are held in the Museum collection. Among these folios is the colophon page, with the signature of the scribe Muhammad al Zanjani from the town of Zanjan, in Iran. The text is written in the script known as eastern kufic with some elements in cursive (naskh), and is lavishly illuminated.